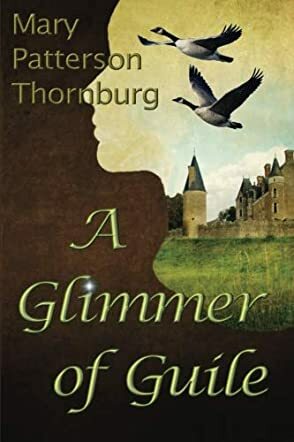 In a Glimmer of Guile by Mary Patterson Thornburg, Vivia is sent on a mission to find the High King’s son, Tedor. Although Vivia is a witch and strong in guile, she’s unsure she’s a match for the Red Prince’s witch, Orath, the woman who most likely has kidnapped Tedor. When Vivia seeks out Raym, the witch who trained her and eventually left her at an all women’s community, she finds his cottage is empty. It appears Orath has captured him as well. However, after the way things ended between Vivia and Raym, Vivia can’t help but be concerned that he is in league with Orath. Vivia must find Orath and defeat her, but her renewed attraction to Raym could be the end of her own power. A Glimmer of Guile is an excellent read. I had a difficult time putting it down because the characters kept me so engrossed in their world. Mary Patterson Thornburg does a fantastic job of creating a world similar to ours but where magic — guile as it’s known in the story — is a normal part of life. Vivia is a strong female who has no trouble defeating people when it’s necessary, but she is also a caring person who helps others. Orath is everything I want in an evil witch. She’s cunning, powerful, and appears impossible to defeat. One of the things that I loved about this book was that just when I thought the story was over, there was so much more to enjoy. A Glimmer of Guile is a wonderful fantasy read, and I highly recommend it.